How will you invest in the future of VCHS? The Foundation’s endowment fund has been established through the Nebraska Community Foundation. 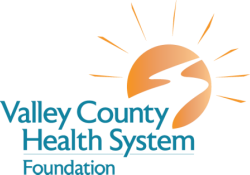 It is a permanent fund whose assets are invested to generate an ongoing source of income, now, as well as in the future, to support Valley County Health System. An endowment is like a community savings account. The endowment’s principal is never used, so your gift remains in place forever. Each year, a portion of the endowment’s earnings can be used to supplement needs at Valley County Health System, or can be reinvested into the endowment fund. This ensures high-quality healthcare to Central Nebraska for generations to come. ​The VCHS Foundation Board of Directors designates $5000 raised at the Annual Gala and Annual Golf Tournament each year into the endowment fund. 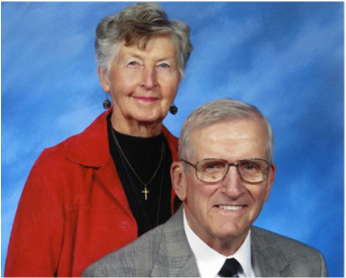 ​Several years before they passed away in 2013, Lloyd and Naomi Geweke of Ord used proceeds totaling $286,000 from the sale of a home in Arizona to fund three permanent endowments for Valley County. Jim Gustafson, Director of Advancement and Gift Planning for the Nebraska Community Foundation, provides a wide range of supportive charitable gift planning services for donors and professional advisors. For the past 30 years Jim has worked in various areas of estate and financial planning. He has served on the planned giving staffs of the University of Nebraska Foundation and The Salvation Army. Jim consults and lectures on various topics related to charitable gift planning and fundraising throughout the nation. He has been a speaker at the National Conference on Planned Giving. Currently, Jim serves as president of the Nebraska Partnership for Philanthropic Planning.